Autonomous cars are quickly becoming a reality on public roads as technology and infrastructure begin to take shape, but Audi is also working hard to make driverless cars a part of the racing world. Those watching the season finale of the German Touring Car Championship on October 19 will get a first-hand look at what we can expect in the future, as an Audi RS 7 will take a racing-speed lap at the Hockenheimring track without a human driver — at speeds of up to 150 mph. 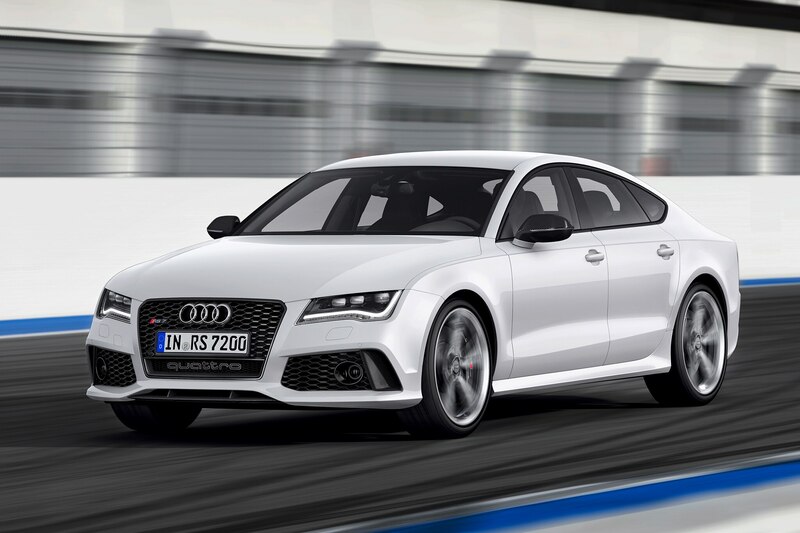 Executing the autonomous lap will be an Audi RS 7 named Bobby. Bobby will of course have at his disposal Audi’s beefy twin-turbo V-8 (making 560 hp from the factory), delivered to all four wheels via an eight-speed automatic transmission. If you’ve thought about surrendering to our future autonomous overlords, now might be good time to cast your lot—Audi says Bobby-the-RS-7 can bang out laps almost as fast as a real human driver. As crazy as it sounds, this isn’t the first time that Audi has brought a driverless car to the track. A driverless Audi TTS named Shelly tackled Pike’s Peak at race speed as early as 2010, as the result of a collaborative engineering and development effort from Volkswagen Group of America’s Electronic Research Lab and Stanford University. Like Shelly, the Audi RS 7 named Bobby will be fitted with GPS receivers, automated controls, and real-time feedback from traction and stability control systems. Autonomous car technology on public roads continues to move forward as well, with technologies like self-parking, lane-keep assist, adaptive cruise control, and traffic jam assist already in our midst. Although Bobby won’t be competing in the race, it’s not hard to imagine a driverless racing series in the future. You can check out Audi’s teaser video for the autonomous RS 7 above, before Audi broadcasts the event live on the internet on October 19.